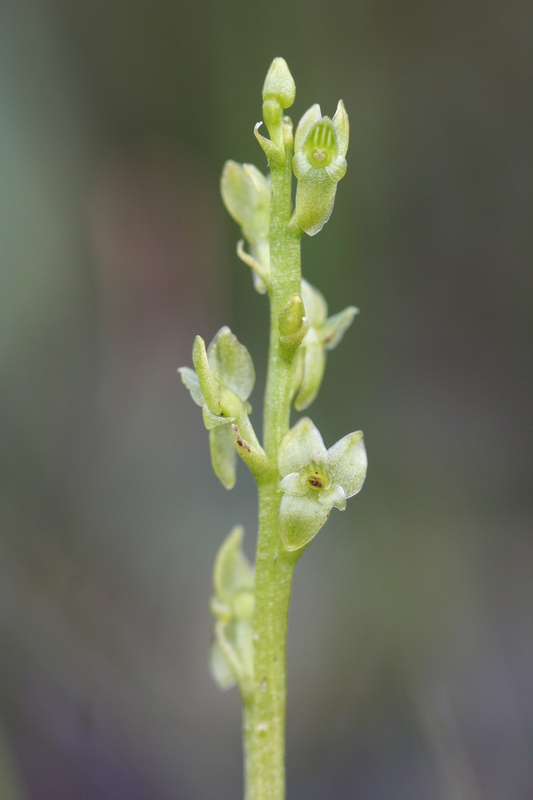 If you are up in the far north west of Scotland and parts of northern England (or down in the New Forest) in July to early August, keep a look out for the smallest of the UK orchids, the bog orchid (Hammarbya paludosa), which is just 4-8cm tall and has tiny greenish flowers which are twisted through 360 degrees rather than the typical 180 degrees for most of our orchids, meaning they are upside down. The bog orchid, as the name suggests, is found in acid peat bogs, often growing among mosses. 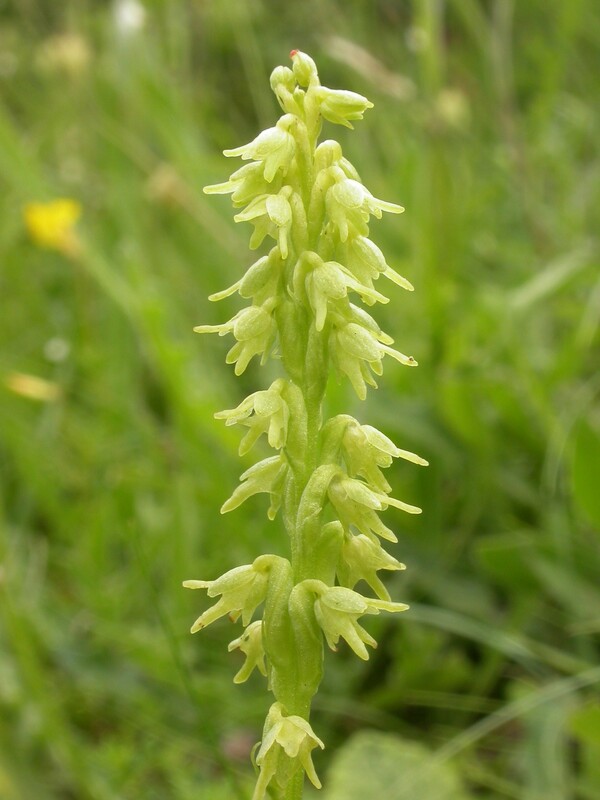 If you are headed for southern England in July, a similar orchid to the bog orchid in size and colour is the musk orchid (Herminium monorchis) but with bell-like flowers, and grows in a very different habitat; it occurs only on short grassland on chalk or limestone soils. Look out for it, photograph it if you find it, but take care not to step on it – this orchid is classified as vulnerable. The bog orchid (top) and the musk orchid (below). These hard-to-find orchids have very local distributions. You can also still find the bee orchid in flower until late July. The bee orchid is a Mediterranean species of open calcareous grassland and disturbed ground and can be found throughout England, but is scare in Cornwall and north Devon. One petal is highly modified to look like a bee with large pink sepals behind. Pollination is carried out by a process called pseudo-copulation whereby the orchid mimics the sight and smell of a female bee. This attracts male bees who try to mate with the flower and in the process dislodge the pollen which attaches to him and is then carried to the next flower. Unfortunately, the necessary bee species is not present in the UK and so they are always self-pollinated here. We believe this species is also spreading north as our climate becomes warmer. The bee orchid (Ophrys apifera) – one of the most charismatic and much-loved of our native wild orchid species. See our UK Orchid Identification Guide for all 29 species in our study. Thanks for your participation in Orchid Observers! Thank you for your post – an interesting record and thank you sharing the news here! For the Orchid Observers project we do need photographs to verify the records. However, the BSBI would be interested in this record and you can send the details (Grid ref. numbers, date, etc.) to the appropriate Vice-county recorder (if you don’t know who this is we can forward the information to you). As to management/cultivation advice that’s a little more tricky. Many of these things are fairly ephemeral in their appearances – chance colonists which don’t persist. Maintaining the habitat in the same condition and trying to prevent actions which might damage the bulbs, or the leaves while they are still actively growing/functioning will maximise the chances of it returning. They can build up by vegetative spread as well as seed but allowing it to flower and seed will probably improve chances of new plants establishing. 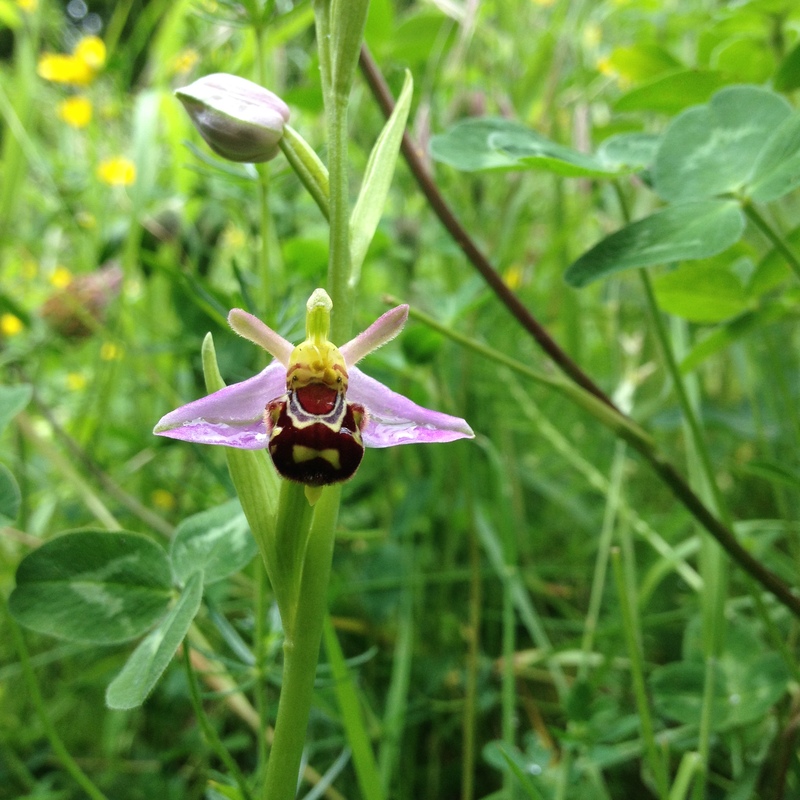 Thanks again for sharing this on the blog – I do hope your prison orchid continues to flourish! Thank you for your advice. Please send me details of the BSBI Vice-county recorder for Lancashire. I will pursue this matter meantime with the grounds maintenance team at the prison, in hope that they will agree to leave the small area unmown. Hi Zephyrine – please email orchid@nhm.ac.uk and I will forward contact details for your VC recorder. Sorry to hear the orchid has been mown – hopefully it will reappear next year!